Are REO Foreclosed Properties Good Deals? Are all REO or Foreclosed Properties Good Deals? In today’s market and all local and national real estate market news that talk about so many existing and upcoming foreclosures and short sales are coming in the market nationwide, everybody is looking for a “Good Deal”. But, honestly most of the buyers don’t know what exactly they mean by “Good Deal”. Many think because of all news about numbers and low prices of foreclosures in some part of country such as California, Nevada, Michigan, Florida, they can get the same deal in other part of country, e.g., 20-50 cents for each dollar. Nationwide foreclosed transactions accounted for 33%, 25% for years 2011 and 2012 respectively. This number is projected to be around 15% in year 2013 nationwide. Both the number of projected of foreclosed properties and expected 20-50 Cents for a dollar for purchase price are not reasonable for most part of the country, especially in Collin County Texas for cities such as Plano, Frisco, Prosper, and surrounding areas, which have been identified as one of the healthiest real estate market in the nation. In many parts of these cities and surrounding areas, we don’t see that huge number of foreclosed or short sale properties and not only prices have not been dropped, some have been increased a lot in last couple of years. Many buyers and investors in my area think foreclosures are ALL “Good Deals” and they can purchased them very cheap (e.g., 20-50 cents for each dollar or so), repair it (if necessarily), and they still be ahead about 40-50% of the purchasing of a regular sale! This article tries to identify and inform the buyer of differences between when purchasing a foreclosed (REO) property and when purchasing a regular or non-foreclosed property. This hopefully provides enough information to a buyer to make a better and educated decision. Remember, it will require a patient and informed Buyer to have a transaction close successfully. Are REO (Foreclosed) Properties “Good Deal”? 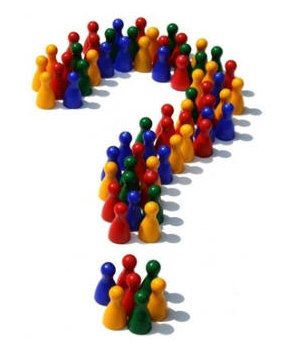 There is no absolute answer YES or NO for this question that can be hold true for all foreclosure transactions. Each foreclosure sale is different and requires a lot of details to be handled when buying a foreclosed (REO) property. One thing is for sure, not all foreclosure Properties are good deals nor are all bad deals. Depending on many factors such as those shown below, purchasing an REO property may or may not turn out to be a “Good Deal”. · If you expect to move-in quickly or get quick responses (e.g., within a couple of days), a foreclosure property may not be for you. Of course the purchaser’s expect to purchase that foreclosed property with such a good (low) price that he/she would be ahead of the game considering all additional costs, times, and inconveniences that he/she might incur. Disclaimer: Not all items specified here should negatively impact your decision to purchase an REO property nor applicable for all banks. However, it is a good idea that each purchaser go through this “differences” list and put a $ value for each item (if applicable), then add all those values to the purchase cost to come up with a comparable total cost and figure out whether or not that particular deal is “Good Deal” or not. 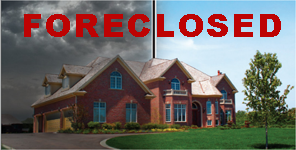 Each foreclosure sale is different and requires a lot of details to be handled when buying a foreclosed (REO) property. Consult with your real estate agent and/or your real estate attorney for questions regarding purchasing a foreclosed property. 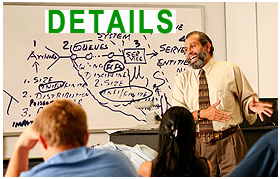 Due to the size of these explanations, they are defined in above web page. 16. Inspection Periods and Limitations. There is no absolute answer YES or NO for this question that can be hold true for all foreclosure transactions. Each foreclosure sale is different and requires a lot of details to be handled when buying a foreclosed (REO) property. One thing is for sure, not all foreclosure properties are "Good Deals" nor are all "Bad Deals". If you expect your home to be completely nice, clean, move-in ready, a foreclosure property may not be for you. If you expect to move-in quickly or get quick responses (e.g., within one or two days), a foreclosure property may not be for you. If you expect the Seller to make major or cosmetic repairs before you move-in, a foreclosure property may not be for you. If you have time to wait a longer time and don’t mind to repair/fix problems yourself or deal with contractors to repair/fix problems for you to bring the foreclosed home to a move-in ready house and you have reasonable expectation such as 10%-15% below the market of comparable house, then a foreclosure property may be for you. Question"(138)":True or False? In a 30-year FHA loan with interest rate of 4%, FHA Monthly MIP will be waived after about 10 years.